Hemas Holdings PLC launched its second Innovation Initiative focused on harnessing the innovation capability of talented entrepreneurs in line with the Group’s core business areas of wellness, leisure and mobility. 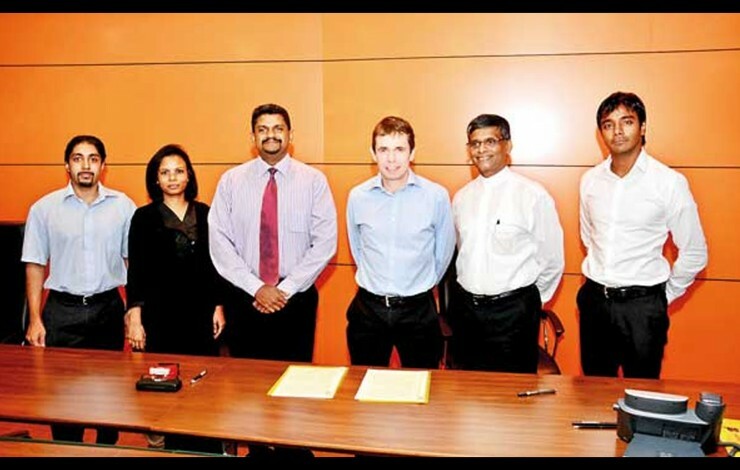 As a key step of this initiative Hemas signed a MoU with Sri Lanka Inventors Commission. The focus on supporting entrepreneurship is in line with the government mandate and is to encourage local entrepreneurs and inventors to reach their maximum potential. In order to leverage on the vast talent base, Slingshot a startup incubator program was developed by Hemas with the objective of providing entrepreneurs the opportunity to pitch inventions and business concepts in line with the Group’s business interests and growth strategy. To achieve its objectives, the program is governed by a diverse advisory board comprising of both internal and external personnel with experience in entrepreneurship, innovation, business start-up and domain expertise. “At university level, school level or at public exhibitions, we have seen lots of very talented people with great ideas struggling to get their concepts or prototypes off ground particularly due to a lack of a support structure. Slingshot aims to give momentum to these concepts which will benefit the individuals as well as the organization” said Dr. Himesh Fernando, Director Strategy. To source high potential inventors, Hemas signed a MoU with Sri Lanka Inventors Commission (SLIC). SLIC is a leading catalyst in uncovering innovative capability within the nation and is a forerunner in facilitating the process of converting ideas to practical applications. With regard to access to technology, SLIC provides support programs for inventors to test and further improve their prototypes and products. “It is indeed very encouraging to see a conglomerate such as Hemas Holdings come to the foray to support our local inventors in line with our plea to the rest of industry to ‘Adopt an Inventor’, thereby delivering upon the promise of an innovation led economic revival in our Mother Land” said Dinesh Sattrukalsinghe Director/CEO, Sri Lanka Inventors Commission. Hemas and SLIC has forged this public-private partnership to unlock the true potential of inventors and entrepreneurs who can add value to the national economy and further their business aspirations. Slingshot is an entrepreneur/inventor support program to provide talented entrepreneurs/inventors a chance to commercialise their inventions/projects. The aim of the program is to identify projects which have a strategic fit in the business sectors that Hemas operates in, which are Healthcare, FMCG, Leisure and Transportation.